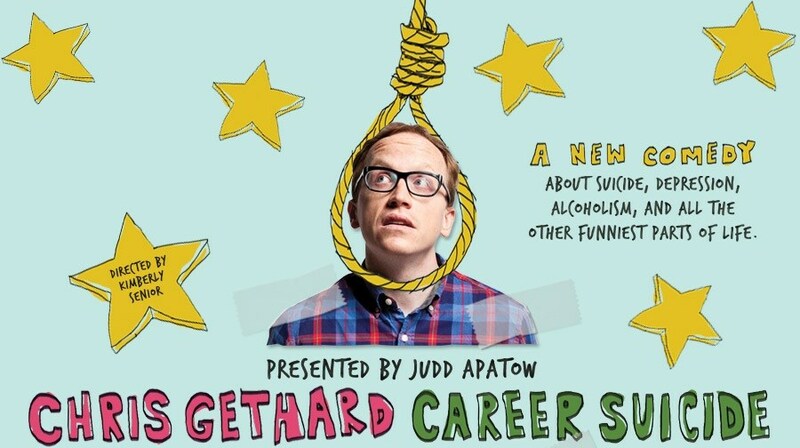 Today HBO announced that comedian Chris Gethard's off-Broadway show 'Career Suicide' will debut on HBO on Saturday May 6th! According to HBO's press release, Gethard will be adapting his off-Broadway for this exclusive presentation. 'Career Suicide' is a comedy about depression, alcoholism, suicide, and the other funniest parts of life. Getard holds nothing back as he dives into his experiences with mental illness, and psychiatry, finding hope in the strangest places. 'Career Suicide' is executive produced by Judd Apatow, Chris Gethard, Brian Stern, Mike Berkowitz, Anna Wenger and Marcus Raboy; directed by Kimberly Senior, who also directed the stage production; written by Chris Gethard.